The Littlest Piper Youland Gibbs with the pipers and drummers at the 2017 Festival. Images supplied by Clans on the Coast. 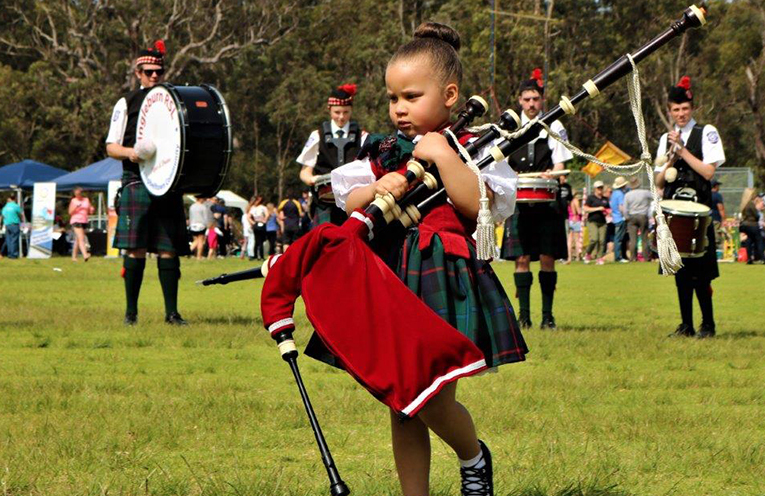 HEAR the call of the pipes and the beat of the drums at Clans on the Coast which will be held at Tomaree Sports Complex on Saturday 15 September with activities and entertainment kicking off from 8.30am. 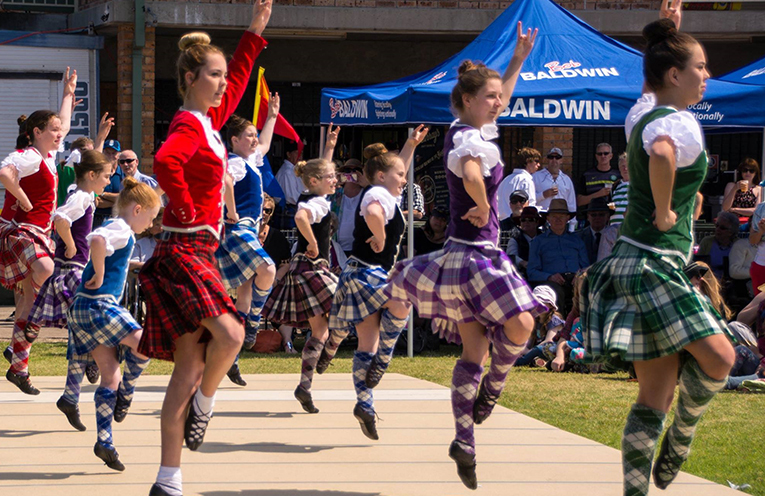 See the tartan swirl as the dancers’ leap in the air as the marching bands and dancing celebrate the Celtic heritage of a culture that is far more ancient than Hadrian’s Wall. 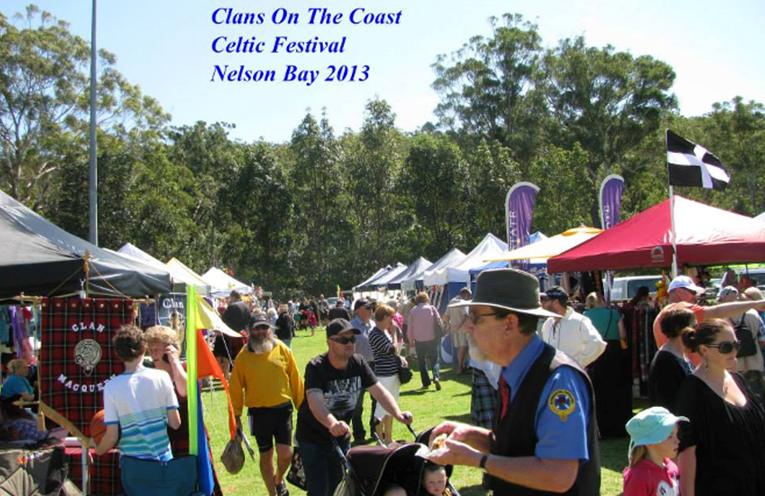 Clans on the Coast celebrates Celts in the region for over 180 years. The opening of the parade will see a Mass Band and Clans march. The outdoor festival will be preceded by a traditional Ceilidh Dinner Dance where the haggis will be piped in. Once again the event will showcase Highlander strength contests with the tug of war, caber tossing and feats of strength where heavy weights are walked a distance are sure to amaze event attendees. Ron believes that Clans on the Coast helps to preserve the heritage of the clans, they immigrated to escape poverty, and famine. The Celts were represented amongst the convicts and soldiers of the early British Colonisation of Australia, they were also “ten pound poms”. How and when they arrived doesn’t matter. What does, is that they now form a large part of the Australian population. “It is important to celebrate and preserve Celtic and all Indigenous Cultures from around the world, it creates connections and develops an understanding of who we all are, while I am a true blue Australian, I identify with my Celtic heritage and I am proud of it,” he said. 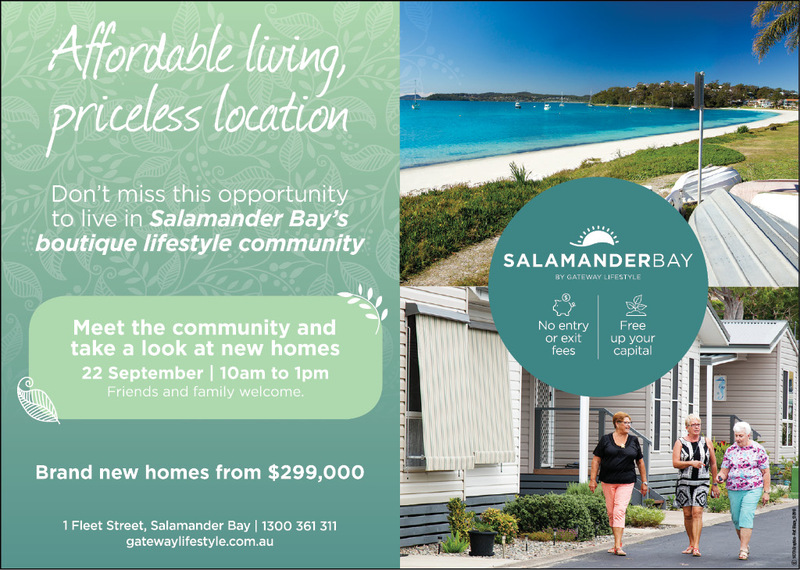 The event supports palliative care and cancer care within the Port Stephens community. The stalls at Clans. Images supplied by Clans on the Coast. The Highland dancers. Images supplied by Clans on the Coast.